Short on time? 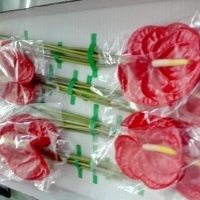 Let anthurium sellers contact you. 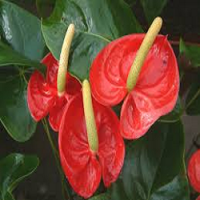 Hybrid , tissue cultured anthurium flowers. Colour tropical red. Lenght approx. +-50cm with flower and stem. Can supply 200 to 500 per week. Carton box approx. 50 to 100 per box. Can supply 200 to 500 per week. A spongy material that binds the coconut fibre in the husk, coir pith is finding new applications. 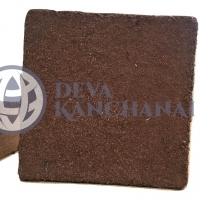 It is an excellent soil conditioner and is being extensively used as a soil-less medium for agri-horticultural purposes. 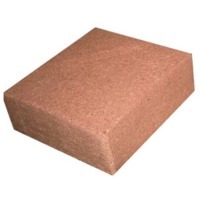 With its moisture retention qualities, coir pith is ideal for growing anthuriums and orchids. Available in raw form. Cut flowers. 12pcs - 500 g.
3pp = 03 plants per pot Plants are rooted in coir dust and floral form 200 plants per carton, caron size. 85cm x 38cm x 25 cm. Exotic flowers: anthuriums and heliconias.